Using a screwdriver, detach the 3 clips. 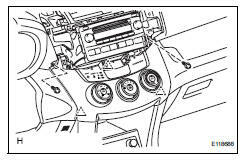 Disconnect the connectors and remove the air conditioning control. Detach the 2 claws and remove the air mix control switch. Detach the 2 claws and remove the blower control switch. Detach the 2 claws and remove the mode control switch. Attach the 2 claws to install the mode control switch. Attach the 2 claws to install the blower control switch. Attach the 2 claws to install the air mix control switch. 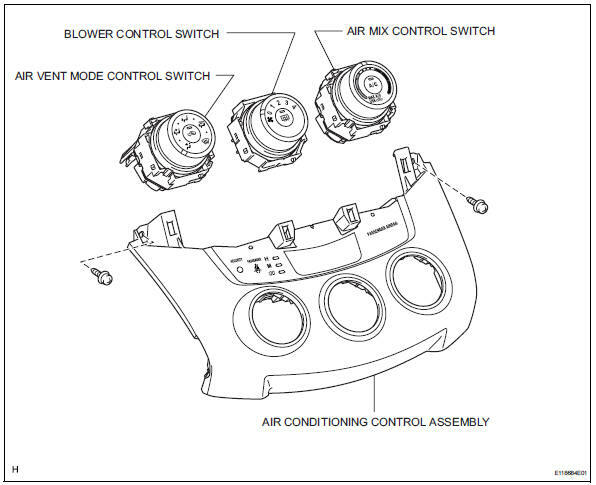 Attach the 3 clips to install the air conditioning control.